During cold weather Black is in trend. Fashionable people love edgy black color. However if black is boring add some POINT color. Isn’t black a magical color that goes well with any color? Goes well with vivid color, cool, and even with shining emerald color. One of our customers chose like glitter gel that gives emerald color giving some point to the nail. If you want to do stylish and chic style aside from applying vivid color? Try out this season trend color burgundy or gold matching with black. Throw away the stereotype of heavy and cold black nail. Using the point color with black gives cute and unique feeling. Like the blue green color giving life and point to this nail. If you want to stand out the uniqueness of gel nail you need to have proper care. In Cool Nail we care costumer’s nails with Oil Piling. Instead of excessive usage of the pusher caring with the oil piling won't give glow effect and maintain pretty hand. Also with constant oil piling can take away the harden skin. Even though you receive some constant care and have messy cuticles with not even nails. 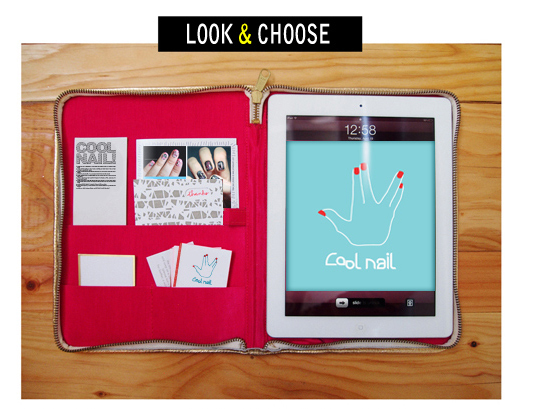 Professional nail shop, ‘Cool Nail’ provides very safe SOAK and colors your pride as well.